The Ottawa death metal band Ominous Eclipse are working toward the release their second album Sinister later this year, but today they’re releasing a single aptly named “The Horde“, and it’s our poisonous pleasure to bring you a stream of the song. 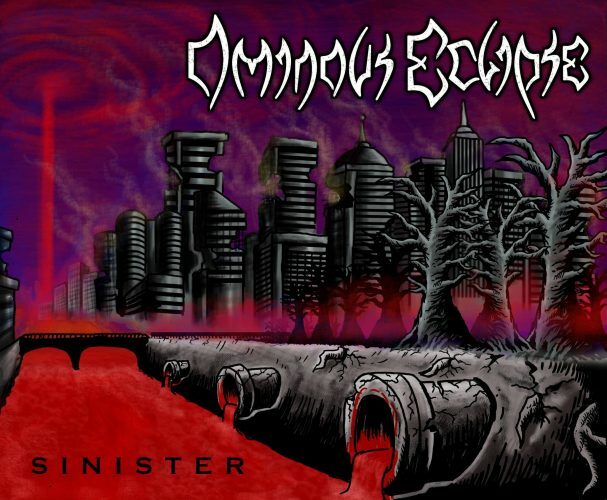 As the evolution of Ominous Eclipse has progressed, the band have hybridized a seething core of death metal sound with elements of thrash, black metal, and melodic death metal. But if “The Horde” is a sign of what’s to come next, they’re reaching for new levels of monstrous and electrifying destructiveness. “The Horde” delivers calamitous, thundering power from start to finish and exudes an atmosphere that’s both horrifyingly ominous and maniacally delirious. That explosive, earth-quaking force hits right from the start, while a freakily swirling guitar lead begins introducing the element of berserker delirium that’s a constant presence in the track. The band hammer with brutish force and writhe with python-like slithering as the vocals rip between horrid roars and demented shrieks. Titanic grooves, groaning chords, and bestial bass grinding, segmented by bursts of drum and guitar frenzy and a fret-melting, give the song added dynamism. This single is available for purchase as of today as a digital single on Amazon and iTunes via the links below, and it’s also on Spotify.